You hear a lot about sales coaching these days. It’s thought to be the main skill of the modern sales manager, it’s the source of an endless stream of how-to articles, and it was even the focus of a recent webinar we attended featuring Tony Robbins and Walter Rogers. But despite all of this attention, sales coaching remains somewhat of a mystery. What, exactly, does sales coaching entail? Is it, like business coaching, about uncovering the hidden forces that shape success? Is it, like life coaching, about explaining a framework to help explain and order the complexities of the world? Or is it, like sports coaching, meant to harness and focus the talents of a large group of people? The last of these, sports coaching, is generally considered to be the best comparison, but there are some limits to this analogy. Given the recent attention devoted to sales coaching, we thought it would be a good time to dive deep into this question. So, without further ado, let’s first define coaching, and then get into the nuances specific to sales coaching. A coach is one who combines elements of a teacher, a counselor, a guide, a cheerleader, and a facilitator who uses the Socratic Method. A coach should understand the person’s motivations, assess their strengths and weaknesses, encourage and inspire them to achieve greater results, adopt a unique approach with each individual (instead of a one-size-fits-all approach) and foster an environment that allows the individual to thrive and become successful. Coaching is different from managing, training, or mentoring. Traditional, old-school managers generally focus on telling people what to do. They don’t typically micromanage or drill down to the nitty-gritty of how individuals should do things. Telling people what to do is not coaching. People don’t like to be told what to do, but rather, prefer to be enabled and helped. They want to be involved. As the old maxim goes, “Tell me and I forget, show me and I remember but involve me and I learn.” Coaching subscribes to this adage, involving employees to improve their job performances. It emphasizes the development of individuals and improving their performances gradually, which is a more practical approach than telling people what to do, which will be met with resistance. The future of management is coaching. Old-school management methods are not effective anymore. One example of that is that it has been well-documented that the new Gen Y employees have different values and traits and because of that Gen Y does not work effectively within the scope of traditional management. Coaching focuses on people’s strengths, not their weaknesses. Sports coaches constantly train to improve their players and focus on making them better every day. Coaches in sports seek to emphasize their best players’ strengths, more than they focus on improving weaknesses. When a football coach works on a quarterback’s strengths, he might focus on improving his accuracy or decision-making to help him improve as a quarterback. It would be silly for him to improve at being a wide receiver and work on his catching or route-running. Nathan Jamail had a great point in his book The Sales Leader Playbook. To paraphrase him, “The best players do not necessarily win because they always execute the most difficult plays. They simply practice the basics, what’s tried and true, and get winning results. Focus on strengths and practice the basics until your players and sales teams are great at these basics.” This is what good coaches do with their teams – they focus on strengths and help their teams practice the basics. Although they might be a Sales Manager in title, they have to be a Sales Coach in function. Sales coaching, like any other type of coaching, requires a unique, one-on-one approach to each sales rep and not a “one size fits all” approach. A sales coach will not be able to manage the results but he or she can manage the behaviors or the steps that the sales reps take to get to those results. An important thing to note is that to be an effective sales coach requires you to spend one-on-one dedicated time with each sales rep regularly. It also requires you to know each individual rep’s strengths, weaknesses and key performance metrics. 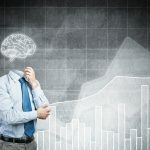 Sales is a science, and sales managers must manage their team by analyzing metrics and KPIs or they will quickly lose the respect of their reps. Just like any coach, a sales coach draws from his or her experience, but the truly successful sales coaches or sales managers are data-driven and analytical. They ensure the successful performances of their reps by measuring hard data and subsequently measuring improvement and progress after coaching sessions. Sales coaching is the new sales management. It helps promote individual rep’s development, improves job performance and reduces unnecessary learning time. Another key benefit is that sales coaching helps retain top performers. Unlike sales management, which focuses on telling them what to do, coaching helps reps who are already high performers become even more effective and successful. Are you a good sales coach? What approaches do you use to coach your reps? To answer your question, I am better than most and equal to the rest in Sales Coaching. I learned it from a master, Ralph Sweeney, from 1957 to 1963. He taught and demonstrated and I teach, what you are saying here. Our three session six day course teaches it very well. There is one point I must make, all “managers” must do these things, because all people are the same inside; sales people are more willing to let others know them. If they are not they fail as salespeople. Above all else, good salespeople are givers. I invite you to read my weekly Blog on http://www.7one.com and share. This is an excellent explanation of sales coaching. Some managers think they are coaching when in fact they are managing or even worse, mico-managing which is old school sales management. True sales coaching takes effort and time but the results are exceptional. Sales Managers are constantly under pressure to deliver numbers and would hardly find time to focus on coaching. For them markets, product performance and sales conversions are lot more crucial than finding time to coach average performers. Performance is a mind game and is dependent on the confidence, self belief, ability to stay focused under adverse conditions and finding the right level of energies to take opportunities to wins. This is where I guess Sales coaching comes in. Helping an average performer who otherwise has excellent credentials but has got conditioned due to tough market conditions, lack of faith in self and lack of trust in the products and services that he is selling due to constant objections that he is facing from the market is what coaching is all about. Working on individuals strengths, improving his self confidence and shaping him to be a winner will be the critical aspects of coaching and I guess Sales managers would never find time to work on these aspects with their teams. I agree Gareth Goh, precisely the reason why the Sales coach has to be from outside the system. External coaching would be far more effective. congratulations to this definition of sales coaching. I was looking for something like this. There are some universal signs that help professionals identify anger problems, but in children these tendencies can manifest in different ways, depending on the character and personality of your specific child. This although true is often difficult to understand or manage. couple of minutes to successfully load still facebook operates well to me. Nevertheless, I appreciate you for publishing an extraordinarily fabulous blog post. Everybody who stumbled on this site should have discovered this particular article honestly valuable. I personally should state that you actually have done fantastic work with this plus hope to see much more brilliant stuff from you. Just after taking a look at your blog post, I’ve book marked your site. I have book marked this web page. it took me for a minute to finally load still , gmail operates absolutely . Well, I appreciate you for creating a remarkably fabulous blog post. this as well as wish to check out more wonderful stuff from you. The days of generic selling are gone, long life to consultative selling, knowledgeable business developer, supported by collaterals, competitive differentiators and customized messaging. Hi there mates, its great piece of writing regarding cultureand fully explained, keep it up all the time. This is such an informative post. Your approach is refreshing, insightful, witty and intelligent. Thanks for sharing this informative and useful post.